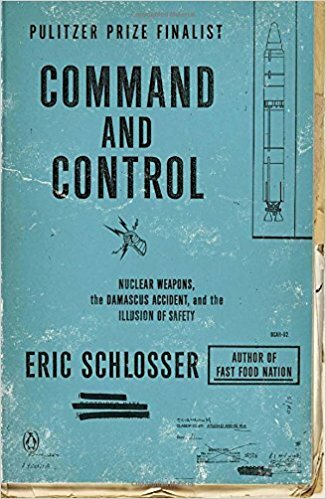 Recently, I’ve finished “Command and Control” by Eric Schlosser. The book chronicled the Damascus disaster, where a nuclear missile exploded in containment. Through meticulous second-by-second details, the book explains the mechanical faults that combined to create such a catastrophe. In doing so, it also delves deeply into the history of the nuclear program after World War II; it showed that due to the competition with the Soviets during the Cold War, the US tried to produce a full nuclear system in a short amount of time. This quickly-made nuclear system caused many careless disasters as quantity became more important than quality. At the end, the book leaves some doubt behind as to if the Damascus disaster was really a disaster. Although the missile exploded, multiple safety measures prevented the nuclear warhead from detonating, saving many lives in the process. I found “Command and Control” captivating and comprehensive in its description of the US’s nuclear system. The style of the author turned otherwise boring information into an interesting and thrilling piece. However, I felt a little exhausted after finishing: the writing is masterful, but the book is just a bit too long. Some of the chapters relating the nuclear system to government tensions could have been trimmed down; the focus of the novel became too broad for me to understand everything. Overall, “Command and Control” is a great eye-opener to the USA’s nuclear system; however, I would recommend it to readers who have the stamina to read the whole book.